My friend, it’s time to come Home. Though you tried, there is nowhere else to go. At the end of the day, your humanness is the gift you came for - both to give and to receive. So, why not take the risk? Dive into the magic and the mess. Live AWAKE. Live SOUL. Awakening is a risk. It’s the risk you must take in order to step into who and what you truly are. It’s the risk you take to give your true gifts in a universe that is innately designed to receive you within the greater ecology of soul. It’s your duty. It’s your liberation. Home is a space where you can truly feel yourself, inhabit in your body, radiate your heart and hear the soft, bright voice of your soul. When you live here - when WE start here - we become the kind of humans who can build happy lives from the inside out, and a world that reflects our true capacity as evolutionary co-creators with all of life. Everything I offer is an invitation to come home, to share home, and to co-create home towards a world that works for all of life. I need to find the “real” me! I know I have a higher purpose. Awakening is real. Are you having a wake-up demanding that you redefine your life, work, values and relationships in new integrity with who you are as a soul? I’ve been on the path of Awakening since my late teens. I support you with tested tools and diamond perspective to find your essential radiance, and to redefine yourself, your worldview, your work and your worth in a world that craves your light. A Jedi Academy to for those ready to birth the Ancient Future and to shape your life and leadership in alignment with collective evolution. Immerse in magic, power, wisdom and unstoppable evolutionary love to ignite greater success, satisfaction and core-integration in your work, love and leadership. 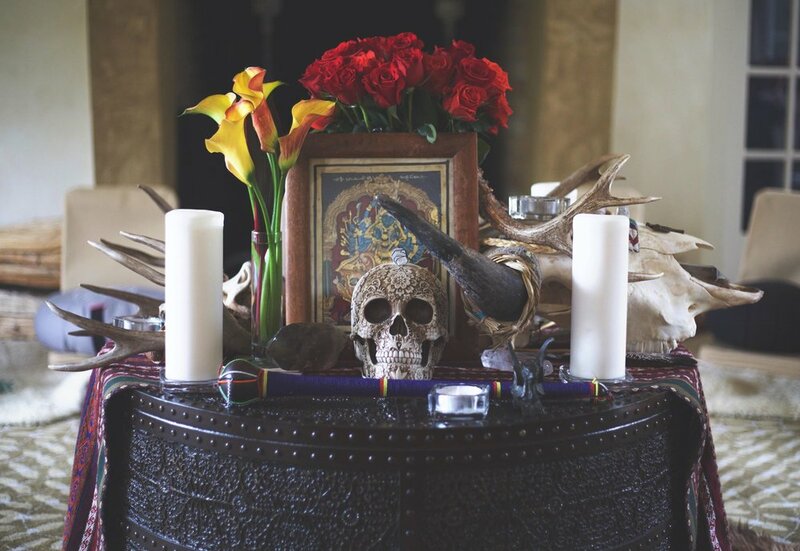 In April 2019, I’m launching a small group mastermind integrating ancient wisdom, integral theory, contemporary best practice coaching, embodiment and work with sacred plant medicine. OLC is a sacred space dedicated to the evolution of humanness, happiness and consciousness in service to the One Life we All Share. We gather together in community to heal, connect, celebrate and co-create through the power of prayer and sacred plants. Circles are held twice a month in our home temple in Mill Valley, CA. Privates can also be arranged. Find upcoming dates and register below, or email samanthasweetwater@gmail.com for more information and to get invites to our regular monthly community gatherings and other shared service projects. You are the future. What’s within you can not be known by any other name. I’m here to help you bring your soul’s gifts forward, to love out loud, to drop your armors and blocks, and to celebrate your one precious life! OK. It’s time to get out of the way. It’s time create your dream, manifest that vision, ground your leadership and take your finances and life to the next level. You are an evolutionary leader, and I am here to help you co-create the world our hearts know to be true. I’m here to support you to RISE. Elevate your frequency. Establish mindset, visioning, core healing, ongoing self-care practices, and strategy. Make it happen. I'm here at the crossroads: intuitive, guardian, ally, strategist, healer & friend gently guiding your path home. Soul Medicine Immersions are a depth dive - a non-ordinary and sacred experience to recover your center, transcend fear, release grief and trauma, heal your heart, and truly shine forward through a higher vision of yourself, of life and of Spirit. This work is for you if you are ready to let go, heal and truly come home. There’s a place where the calling of the world meets the irreplaceable magic within you. It’s a kiss where impact, success and abundance are made real. It’s the space where your unique purpoe comes forward to co-create the course of this world. THIS is the place you want to be with your business and your brand. A soul brand is like a chalice. It gives and receives. It contains and makes manifest that which can only be shared when it has a clear form. Some people spend their entire life serving the visions of others. This isn’t you. You are here to build, to teach, to create at the growing edge of consciousness and culture. After I lifetime of doing just this, I’d love to share my expertise with you. I celebrate the wholeness of you.